What really sets Spring Hill Eyecare apart is that we continually strive to obtain the tools and technology to provide the highest level of care for our patients. We can diagnose, monitor and treat many diseases right here in Spring Hill...big city technology with a hometown feel. The room pictured to the left is called our pretesting room. Our technicians obtain preliminary data here before taking you to one of our four examination rooms. The green and white instrument is the Optomap (click link for a much more detailed explanation). At the end of 2014 we replaced the original Optomap with the newer sleeker version, called the Optomap Daytona. We have a no air puff / no eye drops method of measuring your intraocular pressure called the iCare tonometer. This room also has one of our automated lensometers, which measure your presenting spectacle prescription. On the left is a picture of the OPD Wavefront system. This instrument uses the most advanced digital technology available to help us better evaluate your unique vision needs. It gives us a comprehensive understanding of your complete visual system and optical pathway. This gives us a starting point for determining your prescription. It also provides information on the shape of you cornea and can even provide topographical mapping of your cornea. Using information from the OPD Wavefront system, we can make better recommendations to help you see more clearly. Phoropters allow the patient to provide subjective help us determine your prescription. On the right is a traditional manual phoropter. We have three examination rooms with these. On the left is an automated Marco TRS. This phoropter communicates with the OPD system and integrates information directly into your electronic medical record. Six examination rooms have the automated phoropters. At Spring Hill Eyecare we have used electronic medical records since 2008. The computers in the exam rooms are integrated with many of the instruments we use. The smaller electronic device in this picture is the 'remote control' for the automated phoropter. It controls all the lens changes in the phoropter and coordinates with the appropriate eye charts. OCT is attracting interest among the medical community, because it provides tissue morphology imagery at much higher resolution (better than 10 µm) than other imaging modalities such as MRI or ultrasound. Monitoring macular degeneration and glaucoma are two of the more common uses of an OCT. The OCT has become standard of care for monitoring many ocular diseases and those who take the medication plaquenil. A visual field is an eye examination that can detect dysfunction in central and peripheral vision which may be caused by various medical conditions such as glaucoma, stroke, pituitary disease, brain tumors, or other neurological deficits. Our automated visual field instrument utilizes liquid lens technology to automatically load your prescription to look through while testing. Our practice offers MPOD testing - Macular Pigment Optical Density, which measures the density or thickness of your macular pigment. As a modifiable risk factor, you can help manage Are-Related Macular Degeneration (AMD) risks including low macular pigment. Did you know that AMD destroys central vision, is the leading cause of severe vision loss in adults over 55, and currently affects approximately 15 million people? Due to the aging Baby Boomer population, the incidence of AMD is expected to triple by 2025. 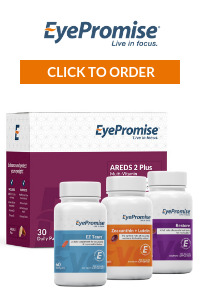 While there is no cure for AMD, and its effects are irreversible, there are both modifiable and non-modifiable risks. Our vision is to eliminate blindness caused by AMD. Patients with AMD often do not know they have the disease during its early stages, which can last five years or more. By the time symptoms become apparent, the disease is frequently quite advanced and substantial, irreversible vision loss has already occurred. Our AdaptDx® enables doctors to measure dark adaptation function, which is known to be severely impaired in AMD and other macular degenerations. Early detection of AMD allows doctors to take action against vision loss before its onset. Patients find the AdaptDx test easy to complete. It is non-invasive and non-surgical (nothing touches your eye) and takes as little as five minutes per eye. 86% of dry eye sufferers have a condition called Meibomian Gland Dysfunction. We have the technology to both diagnose (LipiScan) and treat (LipiFlow) meibomian gland dysfunction. For more information on dry eye and ocular surface disease treatment, click here. When the eyes aren’t in sync, the brain must do the work to compensate for the misalignment. The additional work puts stress on the trigeminal nerve – the largest nerve in the brain and the one responsible for the majority of head and neck sensations.